Thiruvananthapuram: The United Democratic Front (UDF) in Kerala has been struggling to finalise the list of candidates for the 2019 Lok Sabha elections. On March 19, the party finally announced their candidates of 18 out of the total 20 seats. Earlier, the Congress high command has expressed unhappiness regarding the dispute brewing in the Kerala Congress (M), which affects the UDF's prospects in the Lok Sabha election. The Congress and the Kerala Congress (M) had also seen many internal fights between KM Mani and PJ Joseph factions for the Kottayam Lok Sabha seat. PJ Joseph of the Kerala Congress (M), who is more experienced than the chosen candidate, stated that he wishes to contest from Kottayam. But the party's leader, KM Mani offered the seat to Thomas Chazhikadan, who has now been officially declared as the UDF candidate from Kottayam. As per sources, the March 18 discussions to finalise the candidates for the remaining two seats ended unsuccessfully as the leaders failed to take a decision. Among the total 20 parliament seats in Kerala, Congress will contest for 16 seats. Two seats have been given to Indian Union Muslim League (IUML). The Kerala Congress (M) and Revolutionary Socialist Party (RSP) will be contesting for one seat each. 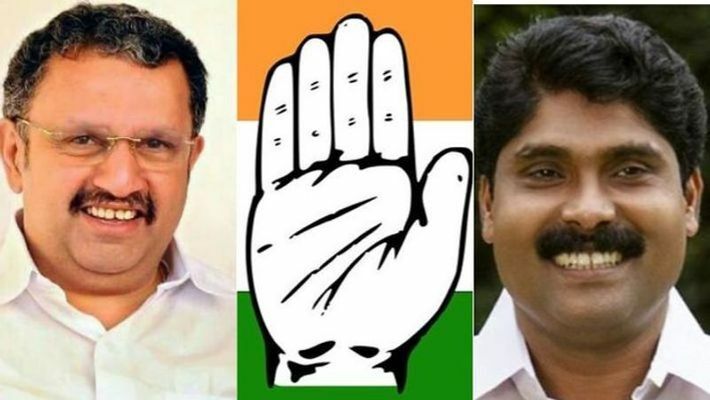 The candidates for Vadakara and Wayanad are yet to be finalised considering the group equations in the Kerala Pradesh Congress Committee (KPCC). Meanwhile, the former chief minister Oommen Chandy, sitting MP of Alappuzha, KPCC president and sitting MP of Vadakara Mullappally Ramachandran, AICC general secretary KC Venugopal have opted out of the election race. In the Vadakara constituency, the final decision to select the candidate rests with the AICC. As per sources, Vadakara Revolutionary Marxist Party (RMP) leader KK Rema would contest against P Jayarajan of the CPI(M). But, Rema and the RMP declared that they would support the UDF candidate in Vadakara to oust the LDF candidate. Meanwhile, UDF allies, IUML, RSP and Kerala Congress (M), have announced their candidates and have begun their election campaigns. The IUML, who are contesting for two seats, fielded PK Kunhalikutty in Malappuram and ET Muhammed Basheer in Ponnani.